As time passes by, we quickly and easily get used to new technologies and new versions of all the apps we use. FileMaker Pro is not an exception. Occasionally, the history decently knocks on the door, checking if we remember. Just like recently, when a customer contacted us, asking for help with converting his invoicing solution, made in FileMaker Pro 1.0, to the current version. So I wanted to install FileMaker Pro 6 on it, but that wasn’t as easy as I expected. Our backup of the installer on our server was unfortunately corrupt. 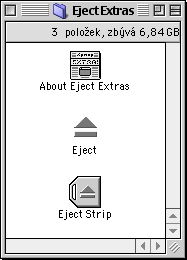 So I found a CD, but then could not make the CD tray out of the iMac as the keyboard I used was too new and the system did not want to recognize the Eject key… Searching on the internet revealed I need “Eject Extras”. After installing that I could finally open the CD tray. But discovered the drive does not consider my CD readable. Probably because of dust inside or something. So I found and connected an external USB optical drive. 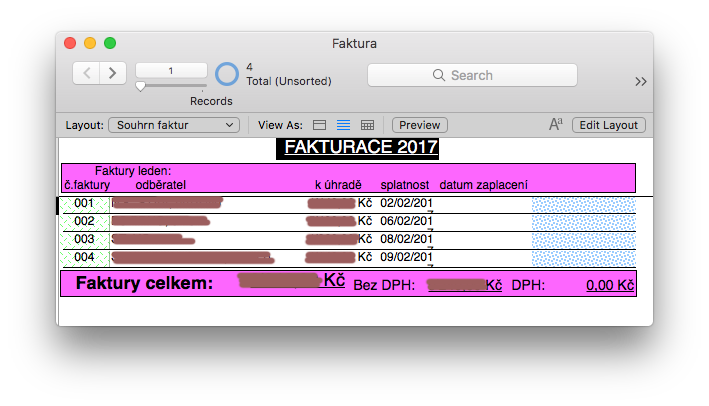 That worked and I could finally install FileMaker Pro 6 convert the database with it. When converting that file using FileMaker Pro 11 on macOS High Sierra, it was converted to unicode assuming the internal encoding of the file was Mac Roman. But the actual encoding the file was created with was Macintosh CE. So I needed to perform the second conversion step a bit differently. Then it was easy. and I could advance to the last step. It was an adventurous experience with a bit of nostalgy, but reminded me how happy I am to work with tools that are built to last. 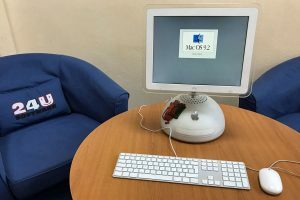 First thing that helped me was the fact that I could use, almost without issues, a 16 years old iMac G4, and even transfer data to and from it using my year-old USB flash drive. But finally, I got a solution created with a 28 years old version of FileMaker Pro opened by the latest FileMaker Pro 16, and the solution appeared and worked still exactly the same as 28 years ago.